How To Choose The Best Antivirus Software - Which? Protecting your PC or Mac from a virus or malware is easy with internet security software. Get expert advice on picking the best antivirus security software, including free antivirus. The internet is full of threats, but that's no reason not to enjoy the best of the web - the key is keeping your Mac or PC properly protected with an internet security package. Viruses and malware can infect your computer in several ways, but the best antivirus software will give you peace of mind that your computer and personal data are safe. Take a look at our antivirus software Best Buys to discover the products that Which? recommends. Shall I go for paid-for or free software? Do I need any extra features? Is my integrated Windows or Mac security enough? If you've ever asked any of these questions before downloading internet security, our interactive choosing tool will help you unwind the confusing web of options. Many people keep their computer safe by paying for a security suite (almost half of Which? members, according to our recent survey), which will usually include antivirus software, protection against scams and a firewall. Depending on how many devices you want to protect, your security package is likely to cost between £20 and £60 for one year. Paid-for security software suites often come with extra features such as parental controls and tools for maintenance, back-up and recovery that can help you restore your computer in the event of a disaster. Generally, they also have better customer service and technical support than free internet security. So if there's a particular feature or function you want, make sure the program you download has it. Most brands have options for just one device or, for more money, multi-user licences so you can install the same protection on two or more computers in your home. Some also allow you to pay extra up-front for a further year or two of cover. Pros: Provides an all-round security solution accessed through a single interface. Individual components are automatically updated at the same time so you get protection against the latest threats. Cons: They can be expensive and you’ll also face ongoing costs, usually in the form of an annual subscription, to receive updates after the initial period of protection is over (usually a year). Check out our pick of the best antivirus software. You may not need to buy security software. Depending on the type of computer you have, it may already come with certain security features installed on it. For example, Windows 8.1 and Windows 10 PCs come equipped with Defender – see more below. This is a decent base-level of protection and you can always download additional anti-spyware, anti-spam and PC clean-up software for extra coverage and protection. Alternatively, you can download a free antivirus software package to provide an extra level of protection over Defender. Free antivirus packages can usually handle most types of malware and Best Buy free antivirus packages are easier to use, too. Free antivirus sometimes comes with additional features, although the packages are relatively bare bones compared to paid software. Plus, they usually only protect one of your devices. Pros: A good level of basic protection against malware. You can download the packages for free with no long-term contract or commitment. Cons: Lack the extra features of paid-for security software. Free antivirus software is typically for use on a single computer, so you’ll need to download, install and manage a separate version if you have more than one computer. Download a package to give you peace of mind with our best free antivirus software. The biggest shake-up in PC security for years came with Microsoft’s launch of Windows 8. Unlike previous versions, it came with lots of security features integrated into the operating system. 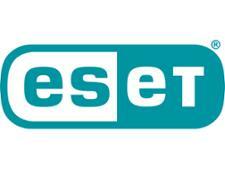 One of the key changes was the replacement of Microsoft Security Essentials with Windows Defender. 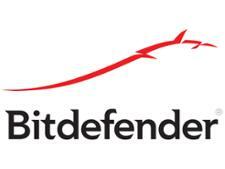 Defender has been beefed up to include antivirus protection along with anti-spyware features. It runs in the background and notifies you when you need to take action. Windows 8 and 10 users are further protected by a two-way firewall that monitors the information going back and forth to the internet. Other features include a SmartScreen filter to help protect against phishing scams, plus parental controls to monitor children’s activities online. Windows 8 and Windows 10 both include a Secure Boot option that prevents malware from gaining a foothold on your PC during start-up. Pros: We found that Microsoft Windows 8 and 10 have strong built-in security and antivirus features. Cons: Because of the sheer amount of Windows users, Microsoft’s operating system is frequently made the target of hackers and virus creators. If Windows Defender is your only line of defence, we’d still recommend upgrading to a standalone security program. And PC users with versions of Windows prior to Windows 8 should certainly install separate security software – nowadays, Microsoft Security Essentials just isn't watertight enough. Click to read our full Windows 10 Defender review. Despite their reputation for being more secure than Windows PCs, Apple Mac computers are not immune from viruses and malware. With more Apple products being sold, the target audience for hackers is becoming more attractive. This makes it more likely that viruses will be designed specifically to attack Macs, so it makes sense to think about Mac security software. In fact, we've seen a recent increase in Mac malware, typically in the form of annoying pop-up adverts and software that makes unwanted changes to settings, or causes other programs to malfunction. Apple continues to boost security in each new version of the MacOS operating system. But Macs do not include antivirus or anti-spyware software, although they do have a built-in firewall to block attacks from malicious users online. There’s plenty of paid-for and free security software for the Mac to choose from. Pros: Apple computers are generally less vulnerable than PCs, so you may decide that you don’t need to splash out on antivirus software for your Mac. Cons: Perhaps due to Apple computers' reputation for being less susceptible to malware, there aren’t a huge amount of security packages available – and those we have tested scored worse, on average, than antivirus suites for Windows. Get the best package for your Apple Mac - we’ve picked out the best antivirus software for Apple.